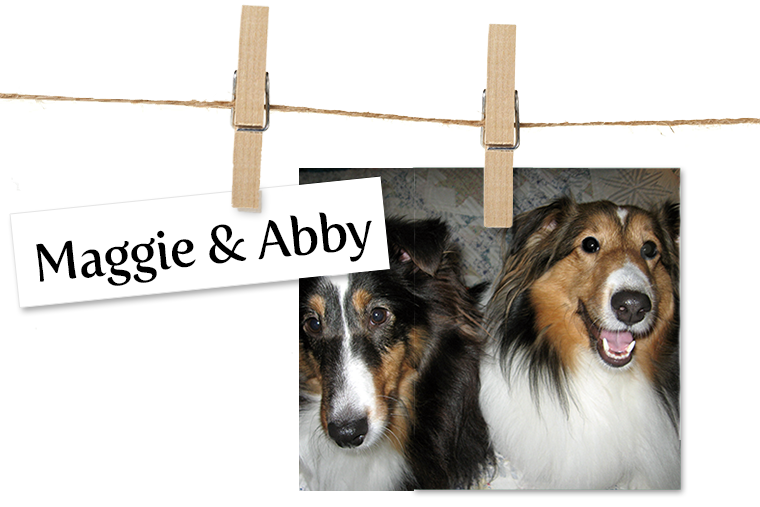 Story Maggie and Abby are sisters who have brought great joy into my life after losing my Sheltie, Molly. My mom was just out of the hospital and staying at my house. They were great company for her while I was at work and it is so great to come home to their enthusiastic greetings.